A time of prayer following the morning service. All are welcome. Soup Lunch followed by Bible Study and Prayer from 12 to 1.30pm. All are welcome. Meet to Eat Community Lunch from 12 to 1.30pm. Light Lunch followed by friendly discussion. All are welcome. Wigton is a small market town 20 minutes drive from both Carlisle and Cumbria's beautiful Lake District. 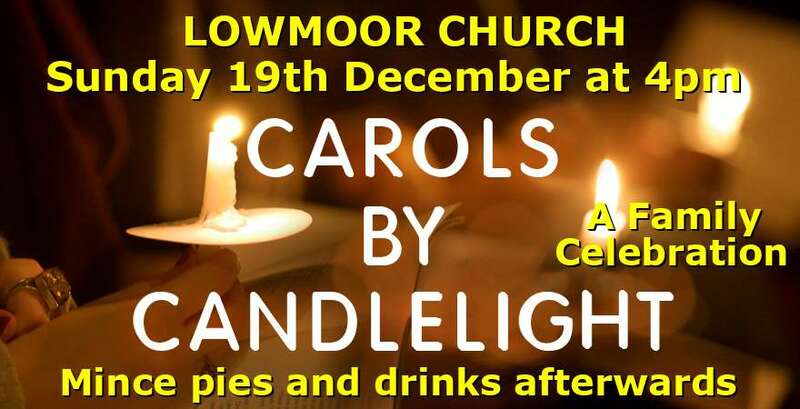 Lowmoor Church are a friendly and welcoming fellowship who would seek to make you feel at home. To be the people of God who love Jesus Christ and seek to follow Him and make Him known to others. Prayer Meeting - a time of prayer following the morning service. All are welcome.